FabricLink Network's Top 10 Textile Innovations for 2017-2018 include new textile fibers, a nonwoven, a composite fabric, and inventive fabric constructions covering an array of end-use applications. This year's Top 10 Innovations include applications for activewear, aeronautical, intimate apparel, medical, outdoorwear, and safety & protective, as well as a cutting-edge sustainable recycling system. The research required to launch many of these advancements often extends over a period of several years. 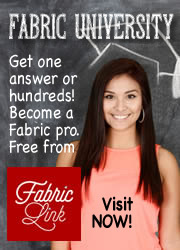 The FabricLink Network's Top 10 Textile Innovation Awards recognize technical achievements and originality that improves or advances the finished product application and performance. 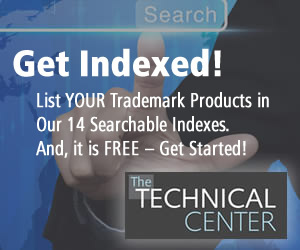 To be eligible, the product technology or production process improvement must have been developed in the previous year, and be commercially available during the current year. We hope that these technical textile groundbreaking developments will inspire the creation of future achievements in the global textile marketplace. Looking for past winners? Check them out here. Ahlstrom-Munksjö PureArmor™ is a breathable impervious nonwoven fabric that combines superior protection with great comfort for blood borne pathogen and cleanroom apparel protection. The new PureArmor™ fabric is a next generation tri-laminate nonwoven that has extremely low lint, making it suitable for applications that are sensitive to particle contamination. The patent pending manufacturing process welds bicomponent spunbond fibers together, making the fabric less prone to shedding without sacrificing softness. The barrier film layer at the center of the tri-laminate fabric is a membrane, which has a nonporous monolithic structure that provides an impervious barrier, thus blocking the passage of viruses, bacteria, fluids and particles. The structure of the film allows moisture vapor to pass through, giving the wearer a comfortable garment while providing the highest level of protection. Compared to fabrics frequently used in cleanroom apparel, PureArmor's™ monolithic film design stops 100% of the particles and potential blood borne pathogens. CORDURA® Brand, DuPont Tate & Lyles's Susterra®, and DuPont™ Sorona® fuel innovation through collaboration with a new three-layer eco-efficient fabric interconnecting durability, sustainability, and wearability. Based on the CORDURA® brand mantra "Sustainability Begins with Products That Last™", the outer layer features long-lasting, abrasion and tear resistant CORDURA® Naturalle™ fabric, designed to help wearers Live Durable™ . The middle layer is a waterproof, breathable, plant-based membrane using Susterra® propanediol, DuPont Tate & Lyle's revolutionary building block. The membrane has outstanding low-temperature flex and elasticity for lamination to stretch fabrics for added mobility while keeping you dry and comfortable in all kinds of weather. The lightweight, exceptionally soft inner layer consists of a DuPont™ Sorona® fiber-based fleece which is designed for next-to-skin comfort. The soft and smooth touch, plant-based fibers holds up over time, for garments that look good and feel good. Eastman Naia™ Cellulosic yarn is a highly versatile yarn that combines sustainability and performance with a natural touch. Its inherent qualities of lightness, silkiness and soft hand combined with its hypoallergenic nature make it ideally suited for intimate apparel and other next-to-skin applications. Made from wood pulp that is derived exclusively from sustainably managed and certified forests, Naia™ has been awarded Oeko-Tex product class I certification. The appeal of Eastman's Naia™ yarn is that it enables luxurious, comfortable and easy-to-care-for fabrics. Supporting technical data confirms that Naia™ can inherently provide the performance consumers are demanding, such as moisture management, cool hand and practical usability. In addition, Naia™ containing fabrics offer excellent wrinkle recovery, release stains like wine and coffee easily, and can be laundered at home. Initially launched into the intimate apparel market, the versatility and benefits of Naia™ enable it to make continued forays into the apparel market. FilSpec Inc.'s FireFil™ is a new engineered yarn containing a glass multi-filament core yarn that is flame resistant, cut resistant and tear resistant. Textiles created from this yarn exceed the highest standards of the fire-resistant fabric industry, offering triple protection to firefighters and industrial workers exposed to various dangers. 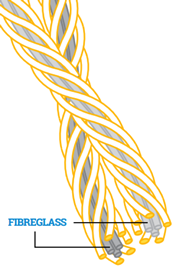 Utilizing an innovative spinning technology, the highly flame-resistant glass multi-filament is inserted in the center of the yarn. The outer layer of this yarn is a high-performance textile fiber, which is carefully chosen so as to render the composite yarn more effective. The 2-ply glass core yarn is then woven to create a FireFil™ fabric providing the flame-resistant, cut-resistant and tear-resistant protections. 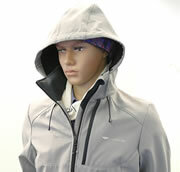 Based on Underwriters Laboratories (UL) tests, other FireFil™ advantages include: no after-flame; no melt or drip; no shrinkage in extreme heat; High tear strength (200% higher than the NFPA 1971-2013 requirement); and flexible modular technology, according to the required performance and individual needs. Heathcoat Fabric's DecelAir Superlight™ is a new range of top-quality super light-weight parachute fabrics. Weighing only 20gsm or less, the Superlight range has superior strength to weight ratio and is currently one of the lightest available on the market. Heathcoat Fabrics has announced that its DecelAir Superlight™ has been selected by NASA as the fabric to be used in the next Mars rover landing in 2020. As a leading global supplier to military, space and leisure users, meeting the most demanding customer design specifications is crucial. Heathcoat Fabric's DecelAir™ series covers a range of parachuting products, which are used for a multitude of parachuting applications. The DecelAir™ products utilize such specialized yarns as high-tenacity nylon, polyester, para-aramids and meta-aramids, cotton and poly/cotton blends. Lubrizol's innovative new fiber technology, X4zol™-J, takes apparel comfort and fit to the next dimension by combining 360-degree stretch and support with breathability, fast drying and a cooling sensation for body temperature management. Beyond these consumer benefits, X4zol™-J fiber delivers sustainability qualities desired throughout the value chain. X4zol™-J is an elastomeric thermoplastic polyurethane (TPU) monofilament fiber, manufactured differently than traditional stretch fibers. X4zol™-J is produced by solvent-free reactive extrusion, a cleaner, lower temperature process that produces a finer, stronger and higher molecular weight fiber than multi-filament spandex. This translates into thinner, more durable, yet softer fabrics that provide balanced, consistent stretch for exceptional wearer comfort. X4zol™-J fiber technology is also recyclable. The value and versatility of X4zol™-J drives its growing adoption in athleisure / yoga wear, narrow elastics and supports, intimates, shapewear, denim, stretch fleece, baselayer, hosiery, and wherever comfortable stretch, fit, support and temperature management are essential. PALTEX, a Taiwan textile company, has established an ongoing commitment to sustainability since it was established in 2003. 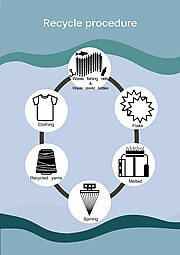 "From Waste to Yarn" is the company's regeneration system that collects discarded fishing nets and plastic bottles from the ocean, which are then recycled to produce regenerative polyester and nylon fabrics. Fabrics made from the recycled discarded fishing nets are sustainable and have the same qualities as virgin polyester and nylon from fossil raw material. The company's ongoing commitment to the circular economy is to design a restorative and regenerative system of sustainable textiles. PALTEX's aim is to minimize the negative impact of waste, saving natural resources and making the textile industry sustainable. Safety Components' Filament Twill Technology™ is a new innovative fabric construction used to produce textiles for firefighter turnout gear. Lighter, stronger, more flexible FR fabrics coupled with ergonomic garment designs have revolutionized the way firefighters perform while wearing turnout gear. The new flexible fabrics, woven with filament and spun yarns in a twill design, are making traditional fabrics, made from 90 - 100% spun yarns in a rip-stop weave, a thing of the past. Comfort and improved mobility are critical for comfortable PPE, because "Comfort+Mobility=Safety". Utilizing the groundbreaking Filament Twill Technology™ in constructions made from Safety Component's PBI Max™ or Armor AP™ are fulfilling the needs of firefighters who prefer improved mobility, improved durability, and improved protection at an economical price. The result is a lighter weight outer shell (6.5 oz.) with absolute performance, improved comfort/flexibility, improved strength and durability, and improved protection. 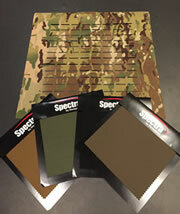 Spectra® Centurion™ composite fabric is a high performance material designed to make law enforcement apparel and equipment lighter in weight. Honeywell's new offering eliminates stitching, extra fabric and webbing on plate carriers for body armor, thereby reducing the carrier weight by up to 40 percent. The tear-resistant, water-resistant and abrasion-resistant fabric is created with Spectra® fiber, a polyethylene that is pound-for-pound 15 times stronger than steel, yet light enough to float. Centurion™ composite fabrics are designed with an over-layer of Cordura® nylon and available in six colors and designs, providing diverse options for end products. Centurion™ is designed to meet agency standards around the world that require lighter loads for officers to carry. In tactical vests, Centurion™ enables laser-cut slits per user preference, where officers can attach gear. That eliminates the need to sew on traditional MOLLE straps, thus resulting in a lighter overall vest. Teijin Aramid's Twaron® ComForte™ SB3 is a lightweight ballistic fabric for body armor. It is one of the lightest ballistic protection products for body armor. Twaron® ComForte™ SB3 is very effective against high-energy semi jacketed projectiles like .357 MAG JSP and .44 MAG SJHP, meeting demanding protection in accordance with NIJ (National Institute of Justice) standard 0101.06. Based on state-of-the-art Twaron® ultra micro yarn, Twaron® ComForte™ SB3 enables lighter body armor with ultimate flexibility and long-term performance consistency. This is fulfilling the need of law enforcement officers and soldiers to move easily while being fully protected. The Twaron® ComForte™ SB3 solution combines the ballistic efficiency of a unidirectional laminate, with ultimate body armor flexibility. As such, body armor can be better shaped to the body's curves, making it more comfortable for soldiers and law enforcement officers. This improved shape-ability also meets the demands of an increasing number of female law enforcement officers. At only 4 pounds, Hank's Surplus packed a punch with its Assault 3 day Backpack. If it's an awesome assault pack you need, you’ll find it in the tactical Assault 3 Day Backpack. Made with super strong 500D CORDURA® Classic fabric, this bag is designed to endure anything and it comes with strong nylon webbing. For storage, this pack has three main compartments with two nylon mesh pockets and inside hydration pocket with drain port. If you're new to multi-day hiking, or enjoy tackling the occasional Great Walk, the 65L Archon is the pack for you: sturdy and reliable, made from tough Cordura® fabric, it has everything you need (bottle pockets, pole and bed-roll attachments) and nothing you don't. The easily adjustable RS2 harness has a small to XL range built in to the harness design. The padded and stiffened hip-belt and shaped alloy frame-stays transfer the load where it needs to be, while the padded EVA shoulder straps, adjustable sternum straps and padded back panel makes the trek over the Tongariro Crossing more comfortable.